Omega 3 and Omega 6 are polyunsaturated fatty acids that are found in the food we eat. They are mostly found in meat, seafood and nuts. Not only is it important to get enough of both Omega 3 and Omega 6 in our diet but we also need to ensure the correct ratio of Omega 3 to Omega 6. The ideal ratio is between 1:1 and 1:2 Omega 3 to Omega 6. Omega 3 is important because it supports the nervous system and the brain but is also responsible for lowering inflammation in the body. Omega 6 raises inflammation in the body but is critical for production of hormones, promoting bone health and regulating your metabolism. These days it is very hard to keep a reasonable ratio of fatty acids. Instead of a 1:1 ratio, most Americans have between a 1:20 and 1:50 ratio of Omega 3 to Omega 6 because Omega 6 is found everywhere. Excessive Omega 6 is found in farm factory meat and fish, nuts and seeds, nut and seed oils, vegetable oils, soy products, fast foods and processed foods. It is estimated that between 10% and 20% American’s caloric intake is from soy products. The problem with too much Omega 6 is that it raises inflammation in the body. Inflammation causes all kinds of problems from muscle and joint pain to all kinds of chronic diseases. It is believed that inflammation causes heart disease, diabetes, Alzheimer’s, arthritis and possibly most other chronic diseases. The best way to get your ratio into check is to adopt a healthy paleo diet. Once you have cut out all of the fast food, soy and vegetable oils from your diet you should also look into supplementing your Omega 3 with fish oil. It is generally recommended that you have at least 1,000 mg of Omega 3 per day. 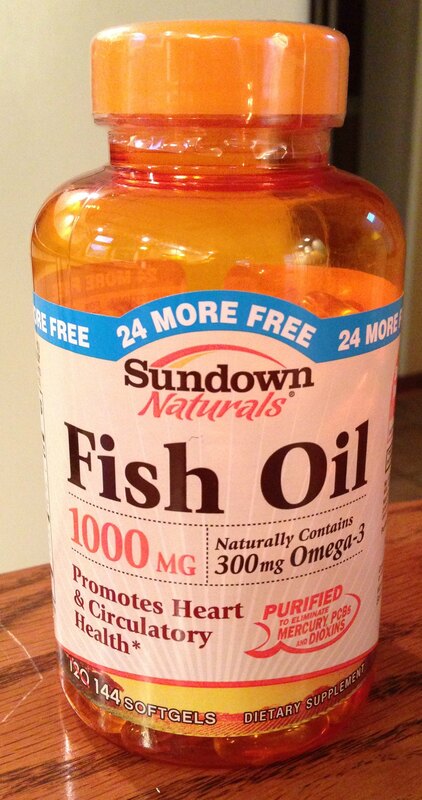 Don’t be confused by the labels, you need 1,000 mg of Omega 3 and not just fish oil. For example the pills I take have 1,000 mg of fish oil per pill but only 300 mg of Omega 3. So I need to take at least 3 pills a day to reach my recommended level. And don’t forget to sign up for No Alcohol November!